A Spanish aid organization says it has recovered five bodies from waters off the Libyan coast and fears that at least 240 migrants could have died after two boats capsized in the Mediterranean. Proactiva Open Arms spokeswoman Laura Lanuza said each rubber boat usually holds 120 people, but smugglers tend to fill them over capacity to maximize their benefits in each trip. She said the NGO confirmed the sinking of two boats but was only able to find the bodies of five men of African origin on Thursday morning, about 13 miles north of the Libyan town of Sabratha. The migrants were between 16 and 25 years old and appeared to have drowned, said Lanuza, as their bodies didn’t show any sign of violence. 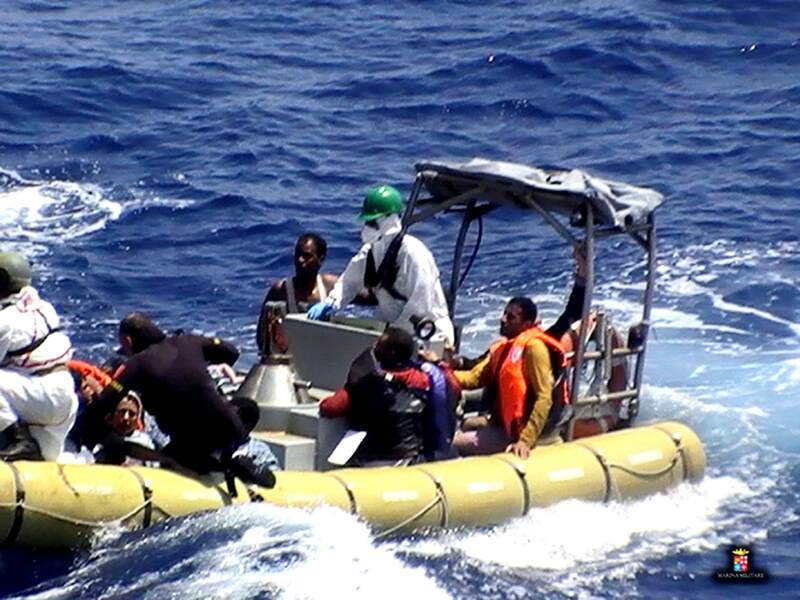 The NGO’s rescuers were searching for a third boat. Numbers of migrants trying to reach Europe from Libya via Italy have risen dramatically this year since the route between Turkey and Greece was effectively shut down. The Italian coast guard said they had co-ordinated more than 40 rescue operations in the last few days. The International Organization for Migration (IOM) says more than 20,000 migrants have arrived in Italy so far this year – and some 559 people are estimated to have died or gone missing en route. This compares with fewer than 19,000 arrivals in Italy and about 350 deaths in the first three months of 2016. “We have yet to complete March, and we are already racing at a pace of arrivals that has exceeded anything we’ve seen before in the Mediterranean,” IOM spokesman Joel Millman said earlier this week.